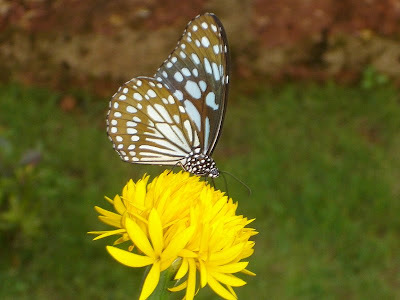 this pic too is from my moms garden, taken long back in 2008 Jan, this picture is not edited except for a small crop and a convenient resizing. Another name for the butterfly is 'psyche', meaning 'soul'. 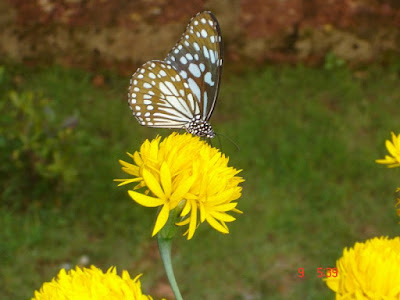 Your picture shows the soul reaching for the yellow flower. Yellow, as you know, is the colour of Krishna's clothes. Thus, your picture has tremendous significance for me: the individual soul finding nectar in the Almighty. @ ayesha, thats a great interpretation given there, and thank you so much..
Hey wonderful picture here. Loved it! And Ayesha's interpretation is really great! good work. keep it up! @ manivannan, thank you and my day is made !